“Today, on April 24, 2016, I declare for the entire world to hear: there will be no purging or deportation of the Armenians of Artsakh. We will not allow another Armenian Genocide. 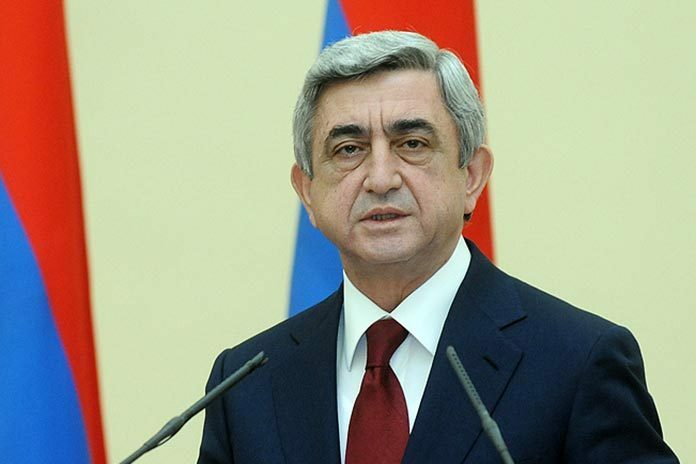 We – means the Armenian nation, all its segments, we – means our Armenian consolidation,” Armenian President Serzh Sargsyan stated in his message on the 101st anniversary of the Armenian Genocide. “Nowadays, emotions and worries, discussions and analyses related to the war actions of April 2-5 have not subsided yet. Azerbaijan unleashed another war against Artsakh. And once again after suffering great losses, was thrown back. The true objective, or rather the true dream of Azerbaijan is the occupation of Artsakh and its cleansing of Armenians which means its population will be partly purged, partly deported.